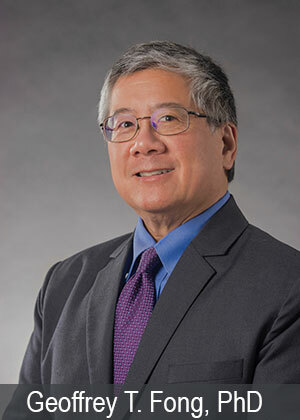 The Selection Committee for the 2018 Alton Ochsner Award Relating Tobacco Smoking and Diseases is pleased to present its 33rd Annual Award to Geoffrey T. Fong, Ph.D. 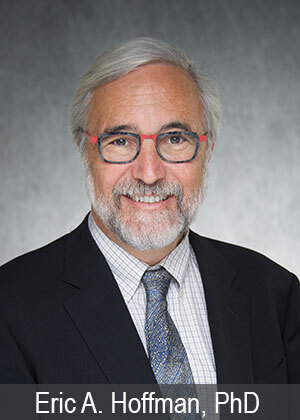 Professor of Psychology and public Health Systems, University of Waterloo, Waterloo, Canada, and to Eric A. Hoffman, Ph.D., Professor of Radiology, Medicine, and Biomedical Engineering, University of Iowa School of Medicine, Iowa City, Iowa. Both scientists independently have made major contributions that will significantly impact their areas of research through their work and the training of other investigators. Their work related the effects of prolonged consumption of tobacco smoke on the development of malignant disease in patients. Each awardee will receive a $7,500.00 honorarium, an award medallion, and a plaque with the identifying statement attributing their research findings. Doctor Fong, Senior Investigator of the Ontario Institute for Cancer Research and Principal Investigator of the International Tobacco Control Policy Evaluation (ITC Project) Waterloo, Canada, is an incredible role model and mentor for his colleagues of the ITC Project and created a network of over 150 tobacco control investigators globally. In brief, Doctor Fong’s broad ITC Research Project conducted longitudinal nationally representative surveys assessing all major dimensions of tobacco use and control policies in 28 countries, covering over one-half of the world’s population and over 70% of the world’s tobacco users; they also cover a broad mix of low, middle, and high income countries across every continent. Doctor Fong’s team of tobacco control researchers have provided evidence-based action globally to combat the number one preventable cause of death and disease in the world. Doctor Hoffman is Professor of Radiology, Medicine, and Biomedical Engineering at the University of Iowa Carver College of Medicine. He is Director of the Advanced Pulmonary Physiomic Imaging Laboratory (APPIL) of the Department of Radiology. Doctor Hoffman’s pioneering efforts to develop CT imaging as a quantitative tool for the assessment of structure-to-function relationships in the lung has led to his laboratory serving as the imaging center for numerous large multi-center studies focused on chronic obstructive pulmonary disease (COPD). Imaging methods and image analysis software developed in his laboratory have provided novel phenotypes of smoking associated lung pathology and have contributed to a growing body of highly convincing data used to understand smoking associated disease etiology and disease progression. Utilizing multi-spectral, dual energy CT to image an index of regional pulmonary perfusion, he demonstrated that the vascular response to micro-inflammatory events likely serves amongst the earliest events leading to smoking-related lung disease and may predict risk for development and progression of COPD, thus illuminating pathways for diagnosis, treatment and outcomes assessment. The Ochsner Award is named in honor of Doctor Alton Ochsner, co-founder of the Ochsner Clinic, in New Orleans. In 1939 Doctor Ochsner published the first evidence relating tobacco smoking as the major cause of lung cancer. The award acknowledges Doctor Geoffrey Fong and Doctor Eric Hoffman for their contributions that clarify the relationship of tobacco smoking with public health and lead to tobacco-related disease prevention and control.